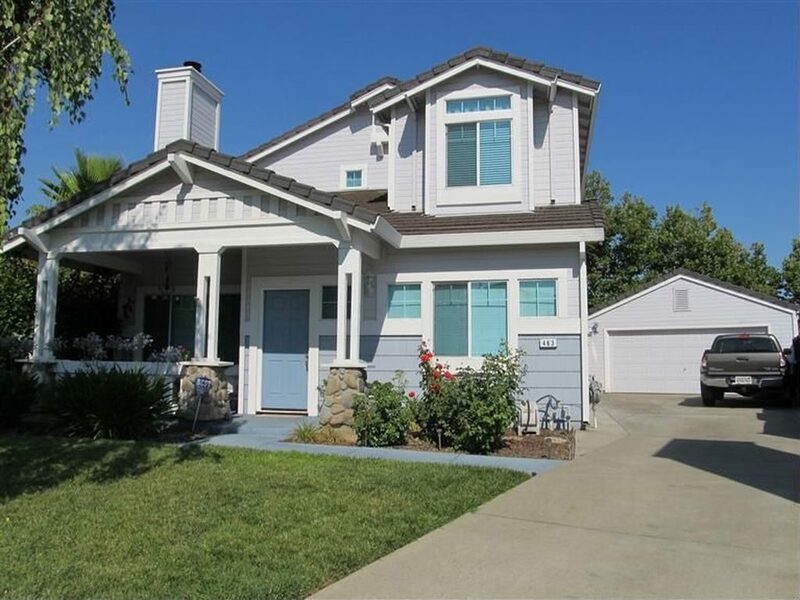 Gorgeous home in Folsom’s Natoma Station with an large backyard and pool is now available for rent. This home is in a quiet and charming neighborhood within walking distance to shopping, dining & bike trails. This two story home has a great floor plan, formal living and dinning room with wood laminate floors and a gas fireplace. Spacious kitchen opens up to the family room area with views of the large backyard. There is one bedroom on the first floor and a full bathroom, the other 3 bedrooms are located upstairs. The master suite has a large balcony. Backyard has a covered patio, refreshing pool with waterfall and pool solar, big spacious concrete patio and storage shed.